With so many memories and discoveries made in the kitchen, it’s no wonder we give baking its own special day to shine. 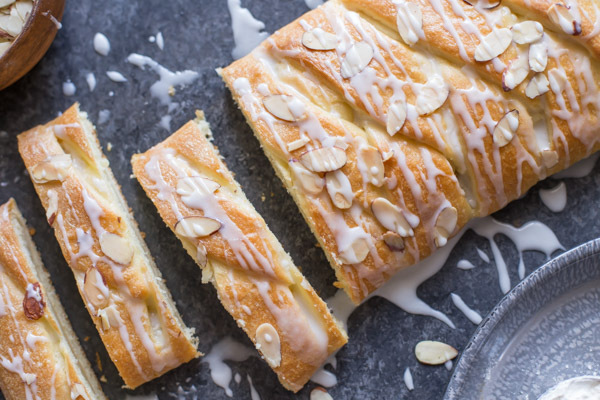 This beautiful Almond Braid is the perfect way to celebrate World Baking Day! It’s a sweet almond filling wrapped in a soft, delicate pastry, sprinkled with sliced almonds and drizzled with almond glaze. 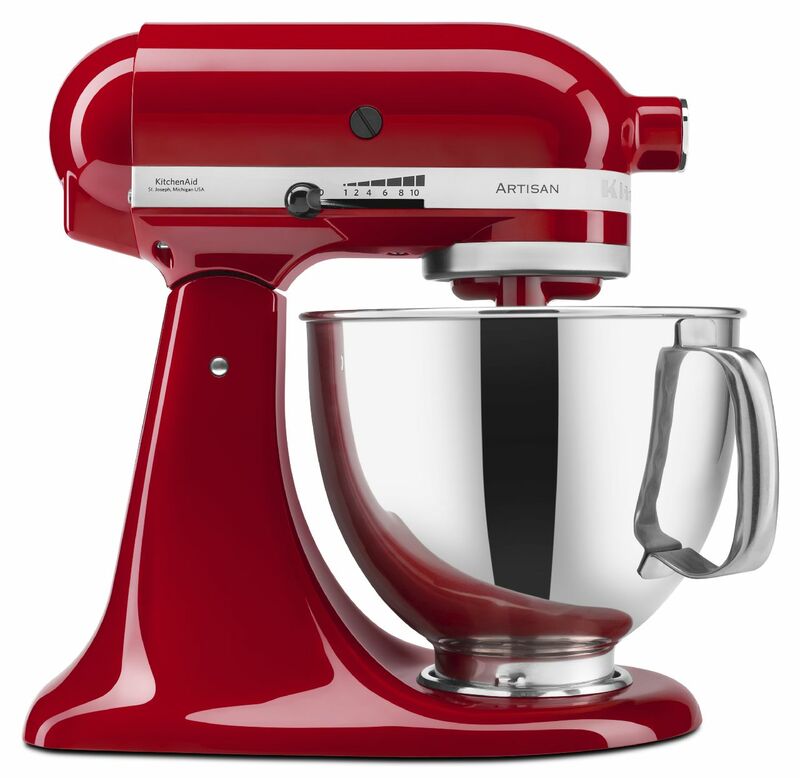 Use the dough hook on your KitchenAid® Artisan® Series 5-Quart Tilt-Head Stand Mixer to make a quick yeast dough. When the dough is mixed, wrap in plastic wrap and refrigerate for 8-12 hours. You will need finely chopped almonds for the filling, which is easily made with a few quick pulses in the KitchenAid® 3.5 Cup Food Chopper. To make the filling, add butter, almond paste, and the egg white to the bowl of the Stand Mixer fitted with the whisk. Mix on a medium low speed (2 or 3) until smooth. Then add your powdered sugar and flour and continue to mix. Lastly, mix in the chopped almonds from your Food Processor until well incorporated. Cover the filling with plastic wrap and chill until ready to assemble. When you are ready to assemble the almond braid, roll the dough out on a well-floured surface into a 12 inch by 15 inch rectangle. Then place the almond filling onto the middle third of the rectangle. Use a sharp knife to cut diagonal strips on both sides of the filling. Then fold the bottom and top ends over the filling. Alternate folding the strips from one side and then the other until you reach the end of the filling. Transfer the braid to a parchment lined Half Sheet Pan from your KitchenAid® Nonstick Quarter Sheet and Half Sheet Pan Set. The parchment allows for an easy transfer to the cooling rack after baking and easy clean-up. 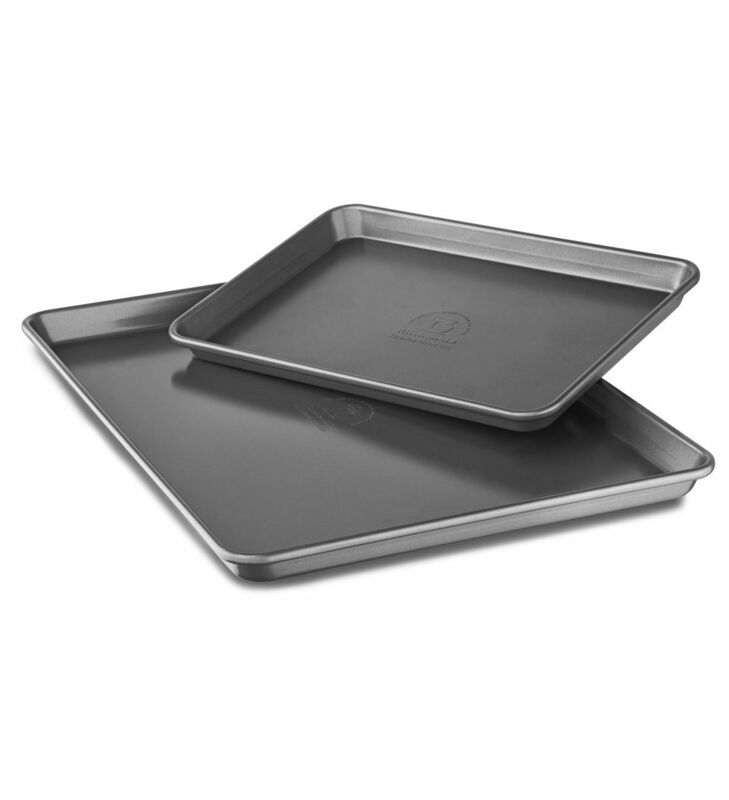 You can feel the quality of this Half Sheet Pan in its weight, so you won’t have to worry about it warping over time, making it an essential baking tool. Cover the braid with a clean kitchen towel, and allow the dough to rise in a warm place for 30 minutes. Preheat the oven to 375° F. Brush the top of the braid with an egg wash, and sprinkle with sliced almonds. Bake for about 12-15 minutes, or until the top of the braid is golden brown. Drizzle with almond glaze for the finishing touch! While the Almond Braid was cooling, I made quick work of the clean up by loading up my KitchenAid® Dishwasher with Dynamic Wash Arms. With its Dynamic Wash Arms, you can ensure that each and every dish will get a powerful clean, even in those tough to reach spots. I also love that it has a ProWash™ Cycle that automatically adjusts the cycle as it senses how dirty the dishes are. This Dishwasher with Dynamic Wash Arms is really smart and efficient, and looks great in my kitchen, if I do say so myself! The art of baking is definitely something to be celebrated. This Almond Braid recipe is an easy one to adapt to your own taste because you can choose your own filling. A combination of sweetened cream cheese and jam would be perfect, or maybe even chocolate. 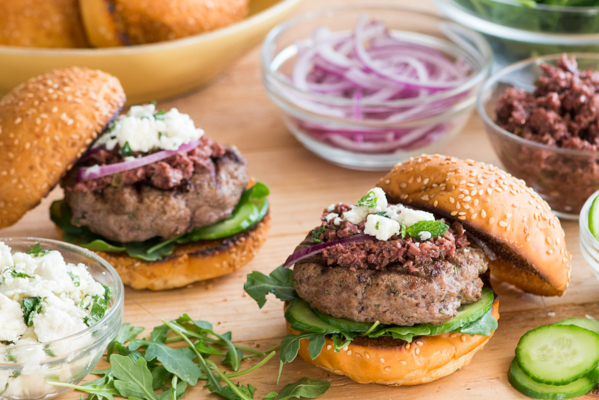 Test out your favorite fillings to see what you like. Be sure to share your take on this Almond Braid recipe with us on Instagram using #MadeWithKitchenAid for a chance to be featured. Add yeast and warm water to the bowl of the KitchenAid® Artisan® Series 5-Quart Tilt-Head Stand Mixer fitted with the flat beater. Let stand for a few minutes to dissolve the yeast. Add sugar, milk, butter and egg yolks and mix on low speed (2 or 3). Gradually add in the flour. Do not over mix. The dough should be slightly sticky to the touch, but manageable. Remove the dough from the bowl and knead a few times until smooth on a floured surface. Wrap in plastic wrap and refrigerate for 8-12 hours. 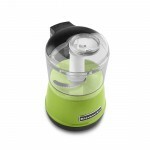 Chop your almonds in the KitchenAid® 3.5 Cup Food Chopper with a few pulses till the nuts are finely chopped. 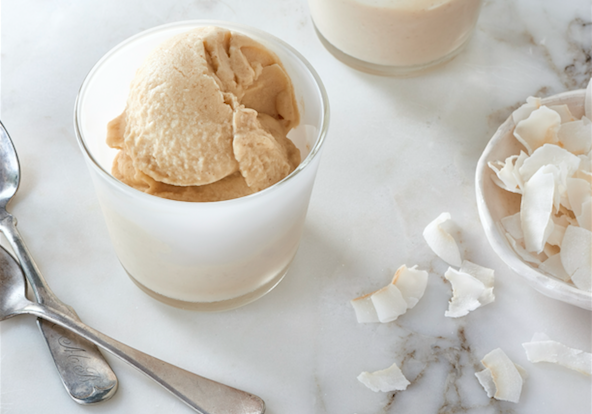 Add butter, almond paste, and egg white to the bowl of the Stand Mixer fitted with the whisk. Mix on medium low speed (2 or 3) until smooth. Then add powdered sugar and flour and continue to mix. Lastly, mix in the chopped almonds until well incorporated. Cover and chill until ready to assemble. Unwrap the dough and place it on a well-floured surface. Shape it into a rough rectangle with your hands, and then roll out into a 12-inch by 15-inch rectangle. Be patient as you roll, checking to see if the dough is sticking to the work surface and adding flour as needed. Trim the uneven edges with a sharp knife. Spoon the almond filling into the center third of the rectangle, and then pat it into an even layer. Use a sharp knife to cut one inch diagonal strips in the dough from the edge of the dough to the edge of the filling. Fold the top and bottom edge of the dough over the filling, and then alternate folding over the strips on each side. 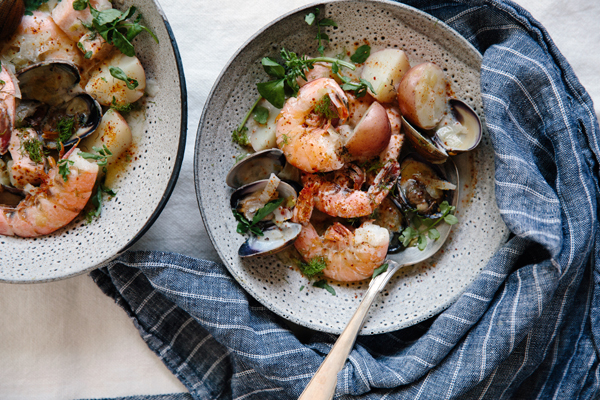 Transfer your braid to a parchment lined Half Sheet Pan from your KitchenAid® Nonstick Quarter Sheet and Half Sheet Pan Set. Let the almond braid rise, covered with a clean kitchen towel in a warm place, for 30 minutes. Then preheat your oven to 375° F, and brush the top of the almond braid with the remaining egg white and sprinkle sliced almonds over the top. Bake for 12-15 minutes or until the top of the almond braid is golden brown. Transfer the almond braid to a cooling rack and allow to cool before drizzling with almond glaze. Slice and serve. 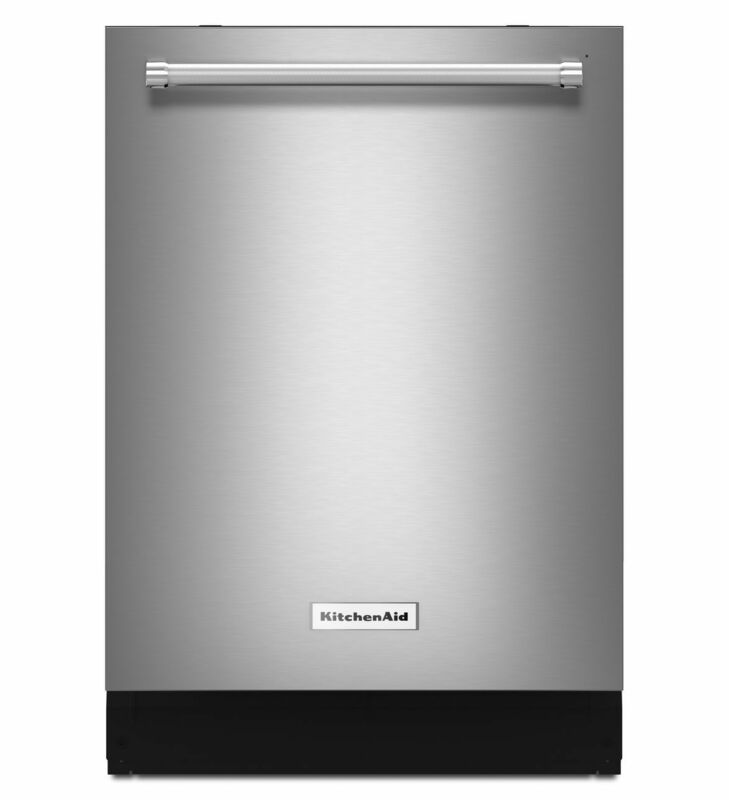 Be sure to use your KitchenAid® Dishwasher with Dynamic Wash Arms for a fast and easy clean up!